SUPERIOR BARRIER PENETRATION AND EXPANSION. OPTIMIZED PERFORMANCE FOR SHORTER BARRELED CARBINES. Additionally, this load performs very well as a hunting round on medium sized game such as deer and antelope. 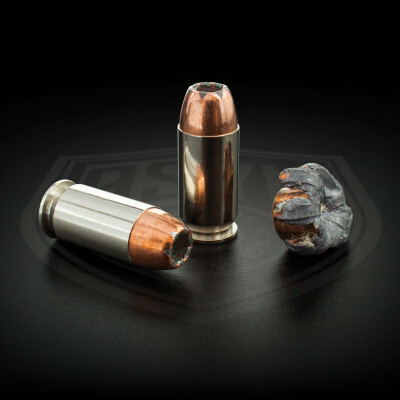 1 in 8″ twist or faster barrels are required to stabilize this bullet.